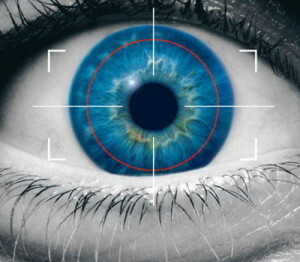 Iris Scanner Protects Medical Records – But What if You Don’t Have an Iris? The article posted on this page appeared on the CNN website on March 15, 2010. It tells of the use of iris scanners in a low income Bronx health clinic to prevent mix-ups among the patients. The high tech scanner, usually seen only in airport security systems, is an important and useful tool for the Bronx clinic, and a welcomed one in an under-served community. At the same time, this article is yet another reminder that technology advances in the health field have the potential to leave people with disabilities behind. If you don’t have an iris, an iris scanner cannot help you. The Bronx Clinic’s iris scanner is a close cousin to electronic medical records at the center of the increasingly important issue of Health Information Technology (Health IT). Today, billions (yes – billions with a “b”) of dollars are being spent to convert old fashioned paper records to electronic medical records. The conversion is part of a comprehensive effort to avoid medical errors that result from handwritten notes, lost files, and the lack of instant access to a patient’s medical history. On March 15, 2010, disability and civil rights organizations around the country are submitting comments to the Department of Health and Human Services explaining that “meaningful use” of electronic medical records must include full accessibility requirements. These comments will explain that not everyone can use a mouse, read standard size font, or access video without captions and will emphasize that people with disabilities must be able to access their personal medical records on line just as sighted people do. Medical professionals with disabilities need access as well. On-line content that meets the Web Content Accessibility Guidelines will ensure that this happens and must be integrated into all Health IT standards. Every person working on technology designed to protect the privacy — and in turn the health — of American consumers must remember that the public includes people with a wide range of disabilities. An iris scanner to prevent medical mix-ups is good, but not without the recognition that it won’t work for everyone, and the alternative solutions that go along with that recognition. CNN (March 15, 2010)– Rafael Fernandez walks into the Bronx, New York, medical clinic, with his eyes wide open. There are many patients with similar names and you want to make sure you get the right patient. In health care, risk management is an important thing. You want to avoid medical errors. You want to make sure you treat the right patient. You don’t want to give the wrong medication. — Dr. Samuel De Leon, the chief medical officer at Urban Health Plan . The clinic photographed its patients, but that was imprecise. De Leon didn’t want to use fingerprints, because some patients associated that with the police and crime. He didn’t want to use palm readers that required physical contact because that would easily spread germs. So he set his sights on iris scanners; it didn’t require touching and didn’t carry the negative connotations. “The acceptable error rate is zero, because we’re talking about people’s lives here. People can get hurt and die,” said Evan Smith, Eye Controls’ chief executive officer. “We’ve also prevented duplicate records from being opened,” Connelly-Flores said. “A lot of times, patients forgot they were here, and we would open another chart for them, so we would have two charts for them at our facilities, or four or five. The clinic’s efforts won recognition from the Healthcare Information and Management Systems Society this year. This article originally posted on the CNN site.